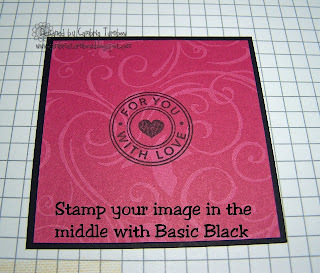 This is a fun easy project using Stampin'Up! 's Long Notes and Palette O' Prints Designer paper. 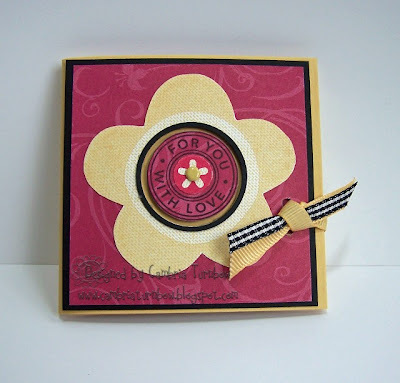 Paper: Saffron Long Notes, Palette O'Prints, Whisper White, Basic Black, Rose Red card stock. Other: 1 1/4 Circle Punch, 1 3/8 Circle Punch, 1/2 Circle Punch, Slot Punch, Grograin/Gingham Ribbon, Rich Regal Brads, Dimensionals, Paper Snips, Crafter's Tool Kit. Scor-pal. 1. 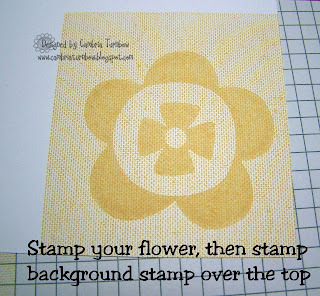 Stamp flower with So Saffron onto whisper white card stock, then stamp Linen over the top. 2. Partially cut around the image, but leave extra card stock to hold on to so that you can punch the center out easily. 3. 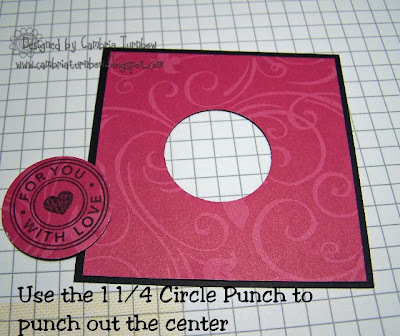 Punch out the center using the 1 1/4 circle punch. Turn your punch over so that you can see when the flower center is in the middle. 4. 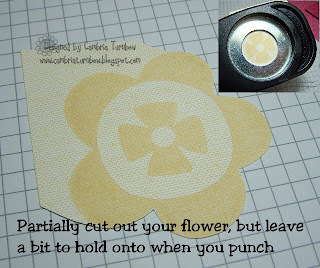 Continue cutting out the entire flower and set aside. Save a piece scrap that has the linen on it for later. 5. 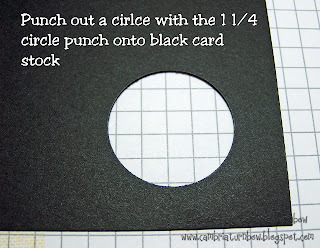 Take the same punch (1 1/4 inch circle) and punch out a circle on a scratch piece of basic black card stock. 6. 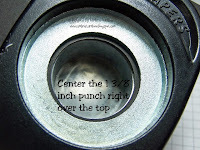 Now, take the larger circle punch ( 1 3/8) and punch again, right over the top of the circle you just punched out. This will give you a nice little frame for the hole in your flower. 8. 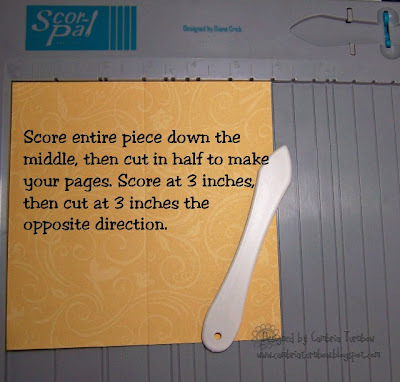 Take your long notes and fold the ends in to meet the center score line, but leave enough space so that it folds easily. Set aside. 9. Take one sheet of the Rose Red Palette O' Prints sheet and cut it in half (3 inches), then in half again so that you have four pieces, each 3x3. Layer one of those pieces on a piece of basic black card stock measuring 3 1/8 x 3 1/8. 10. Stamp right in the middle of the paper (or as close as you can to the center) with basic black ink. 11. Take your 1 1/4 Circle punch and punch out your image. It does not have to be centered, but you don't want to cut stamped image. 13. Stamp the little flower from the Little Pieces stamp set onto some of the scrap that has the linen on it (when you stamped your big saffron flower) using rose red classic ink. 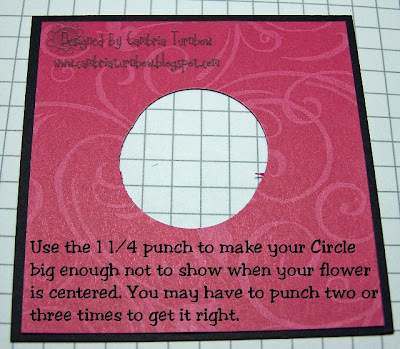 Use your 1/2 circle punch to punch it out. 14. 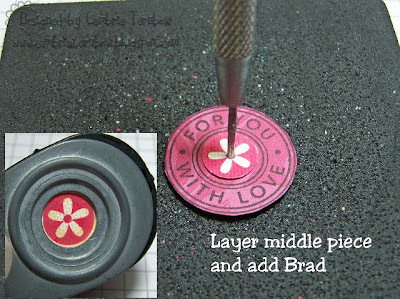 Lay your trimmed round piece on the spongy mat from the Crafter's Tool Kit. Lay your little flower on top. Poke a hole in the center and add a so saffron brad. 15. Turn the entire piece over and add two dimensionals to the back. Set aside. 16. 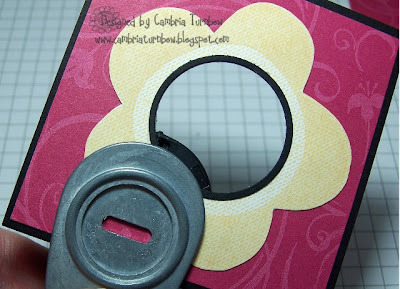 Take your circle punch and punch out enough around the hole so that when your flower is centered on the front, none of the rose red designer paper shows through the middle. You may have to punch two or three times to get all the edges so that they don't show. 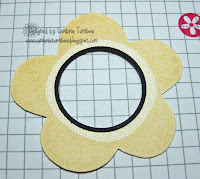 Don't worry about having a funky shaped circle, it will not show after you center your flower on the front. 17. Center and adhere your flower on the front. Repeat step 15 again with the second panel of your saffron album and the larger circle punch. 18. 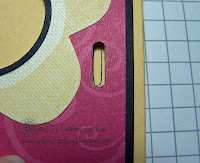 Use the slit punch to make a slit for your ribbon on the right side. 19. 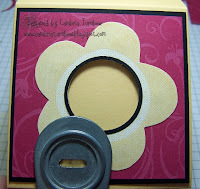 Close the flaps on your album and adhere the flower piece on the front center. 20. Turn the slot punch over so that you can see where you are punching. 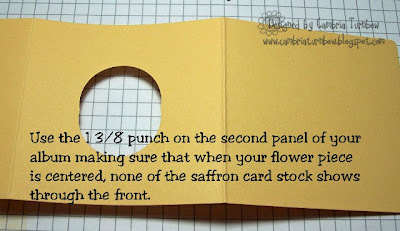 Place it over the same slot in the front and punch through the saffron pieces. Only punch through the front flaps. 21. Close your album (all flaps tucked in). 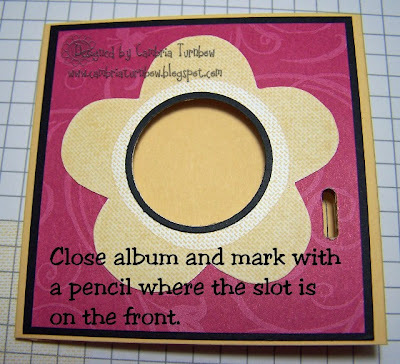 Take a pencil and mark a spot through the slot punch hole you made through the front. 22. 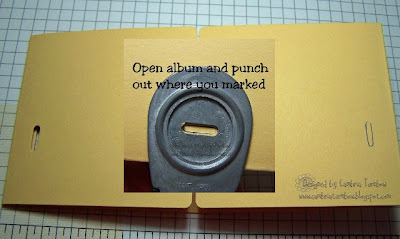 Open your album, and punch over the top of your markings for the back of your album. Now that all your ribbon slots are punched we can move on to the next few steps to finish your mini album! 23. Open the flaps, and apply adhesive. 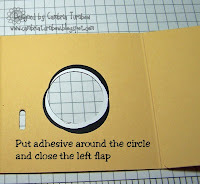 Make sure when you put your adhesive on the left side, that you apply it around the circle and not on the flap portion. You do not want adhesive to show through your window when your album is complete. Close your flaps making sure they are aligned nicely. 24. Open your album and run ribbon through the slots, leaving at least three inches on each side. 25. 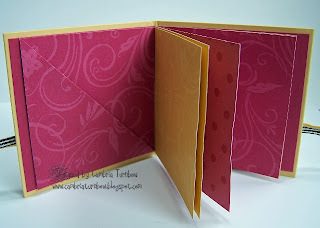 Cut a piece of rose red card stock 3 x 6 1/2 inches and adhere it to the inside, covering up the ribbon and the slots. 26. Take two piece (or more, depending on how many pages you want in your album) of so saffron and/or rose red designer paper from your print pad and score down the middle (3 inches). Then, cut that piece in half (3 inches) horizontally. One piece from the prints pad will give you four pages for your album. 27. Layer all your pages in the order that you want them, then stack them on top of each other. 28. With the pages facing you as you want them in your album, put a staple in the front center. 29. Turn your stapled pages over and generously apply adhesive. 30. 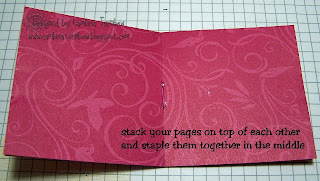 Adhere your pages to the inside of your album. Hold your loose pages up and center then in the middle. 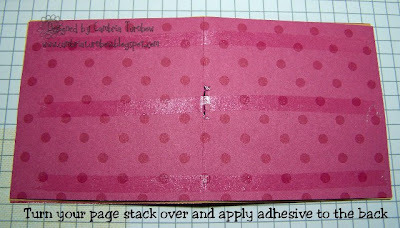 Carefully adhere the pages with adhesive (bottom page) to the inside of your album. 31. Close your album and carefully place your center image in the front center of your flower. The dimensionals give it a nice 3-d effect. 32. Tie a knot or a bow and trim your ribbon. You can take the other 3 x 3 squares and make more albums, or fold them in half diagonally and make pockets for the front and back covers. If you are going to add additional layers of card stock to mat photos, I would suggest only having three total pages to your album. I think it would be too bulky to close if you use more. I'm sorry I didn't have time to add photos or make the inside pretty. Hopefully, I will get that done over the next couple of days and have it to show you. These are so much fun... I hope you enjoy making them as much as I do. The next one I'll make will be a shaker... perfect for a shaker, don't you think? Oh, and I wanted to mention that you could very easily make this so that you could add more bulk. 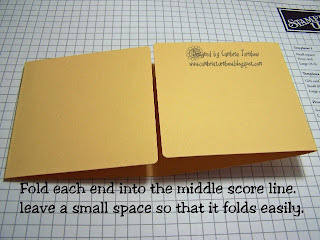 Make two score lines on each side of the one in the middle and just fold your flaps over less on the inside. As soon as I get more time, I'll play more. What a rockin tutorial! I can't wait to make one of these! Thanks for sharing your incredible talent!!! Yes I'm yelling! wow - thanks for sharing such a GREAT project!! Fantastic tutorial, Cami! Wow! You went to a lot of trouble to share this with us...thank you! This is Awesome, I can't wait to get into my stamp room and play with this one. You Da Bomb Baby! This is fabulous. You rock! What a wonderful tutorial! I've got to put this project on my list of things to do! Thanks! Great project and fabulous tutorial! I can't wait to get started on one of these (or maybe several). Thanks for sharing your creativity with us! WOW fabulous! I love this--thanks for sharing! Oh my! You are fabulously amazing!Love this idea! Wow! This is so great. Thanks so much for all the work you put into this to share it with us! You're the best! Great tutorial...You are THE bomb, baby! Cute, cute project! Thanks so much Cami, this is a cute little book! I made one just now and once you have one made I am sure you could make them up quite fast! Thanks for the great tutorial. I appreciate it. 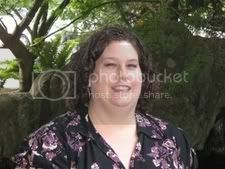 Cami thanks so much for sharing. I just love to make little book sand give them to my friends. Can't wait to try this one. Great tutorial - I think I'll make one for my grand-daughter who is graduating from high school next month - add a gift card on the inside pocket! Thanks. this is really nice!! I love this! I can't wait to try it! TFS!! Have a super day girls!